The new administration in Brazil has reiterated its position that despite mounting pressure from the Arab world, it will remain true to its word and relocate its embassy in Israel from Tel Aviv to Jerusalem. 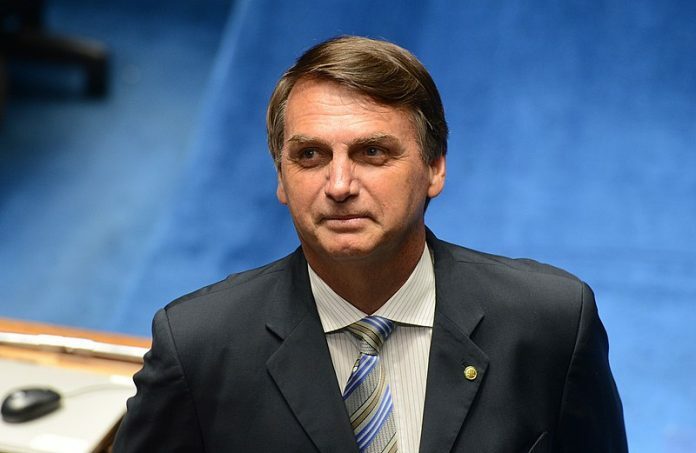 “We’re going to move the Brazilian Embassy to Jerusalem,” Eduardo Bolsonaro, the son of newly elected President Jair Bolsonaro, wrote on Tuesday to Jane Silva, president of a leading pro-Israel organization in Brazil. Silva had approached Eduardo Bolsonaro in the wake of reports in the Brazilian press indicating that Egypt had called off the Brazilian foreign minister’s upcoming visit to Cairo in protest of the planned embassy transfer. “It’s funny that there are over 50 Arab countries, none of which are willing to give a sliver of land to the Palestinians, while Israel is the only Jewish country in the world, smaller than [the state of] Sergipe in Brazil, and despite this they still want to divide Israel?” she wondered. Israeli Prime Minister Benjamin Netanyahu may attend Bosonaro’s inauguration, which is scheduled for January 1. According to reports in the Brazilian media, it’s possible that instead of a traditional Catholic Mass, which has been the setting for every preceding presidential inauguration, an evangelical pastor could preside over prayers at the event. Bolsonaro has declared himself Catholic, while his wife if evangelical. Next articleCutter Aliyah Adventure: It’s A Dream Come True!